I played a small role in helping Peter Biľak and Nikola Djurek finish their new typeface release, November Stencil. Nikola and I have been great friends for a long time — we sat next to each other when we were in the Type]Media program in 2004-2005, and Peter was an instructor of ours at the time. So it was a great opportunity to finally have a chance to lend a hand on one of their projects. Nikola and Peter had already prototyped drawing the stencil cuts to the November typeface in a portion of the character set and needed some assistance with a drawing tool that could help them quickly place the stencil connections in other masters. Then, after the drawings had been chopped up, I helped with another tool to split the pieces into three separate font styles for layering. The chopped up pieces of each glyph are split into three separate fonts to allow you to layer them with different colors (sample image), Peter requested that even though the distribution looks random it should still be the same for each weight. I wasn't sure what a designer would do with a feature like this until seeing page 10 of the specimen PDF, pretty cool idea, and it was very unexpected! I’m happy to share that I contributed a new icon for DrawBot’s latest update. DrawBot is an appliaction that was first conceived as a way to teach the Python programming language to design students, but over the years it’s grown into an important design tool for me. So, of course, the icon was drawn and animated in DrawBot. 2018 was the fourth year of the Typographics Festival, taking place at The Cooper Union in New York City. 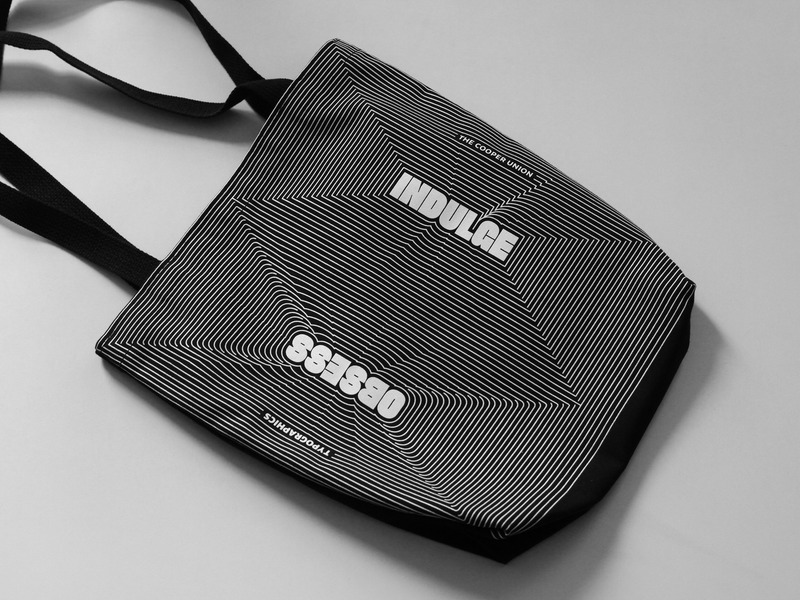 The tote bag design visualizes the technique of “interpolation” that a type designer uses in their work, but maybe not as familiar to a graphic designer. Instead of interpolating intermediate styles of a typeface between “Light” and “Bold” font masters, this interpolation blends a range of steps between the outer shape of a word and the rectangular boundary of the bag. It was created in the RoboFont editor. After making the outer rectangle “compatible” for interpolation with the word shape (by preparing the rectangle to have the same number of bézier points as the contour that makes up the shape of the word), a few lines of Python code were used to draw the resulting steps of the interpolation. 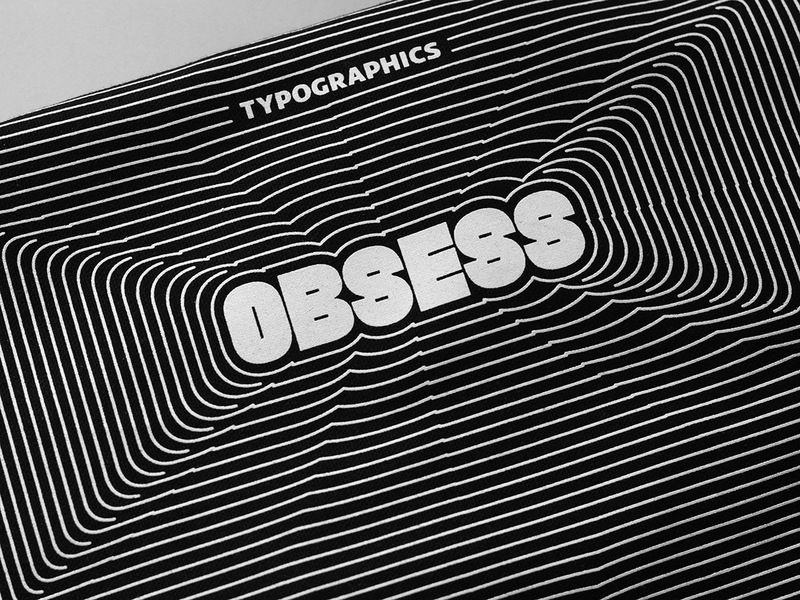 Art direction, and the theme of “Obsess” and “Indulge”, came from Cooper Union design students and their advisors, along with the goal of creating a design that fits with the system of concentric outlines and optical interference patterns which were already present in other imagery created for the conference. The design team for the Typographics festival included Mark Rossi, Nick Sherman, Sasha Tochilovsky, Cara Di Edwardo, Kelsey Mitchell, Richard Yee, Alex Tomlinson, Gabriel Fuller-Rodriguez, Mia Kwon, David Jonathan Ross, and Jonathan Katav. Typefaces used on the tote bag are Faction by Shiva Nallaperumal and Canal by Étienne Aubert Bonn. As June comes to an end, I’m also wrapping up a run of 56 class-hours of type design and font technology workshops which were taught over the course of the Spring and Summer terms of the two full-year Type@Cooper programs in NYC and San Francisco. The topics this year included a Font Production course, a Python workshop that I co-taught with Frank Grießhammer, Drawing for Interpolation which was scheduled as part ofthe Typographics Festival, and a weekend intensive workshop on expanding the weight range of a family of type in San Francisco. If you’re interested in taking type design and font production workshops in New York, be sure to keep an eye on the upcoming schedule of Type@Cooper public workshops. 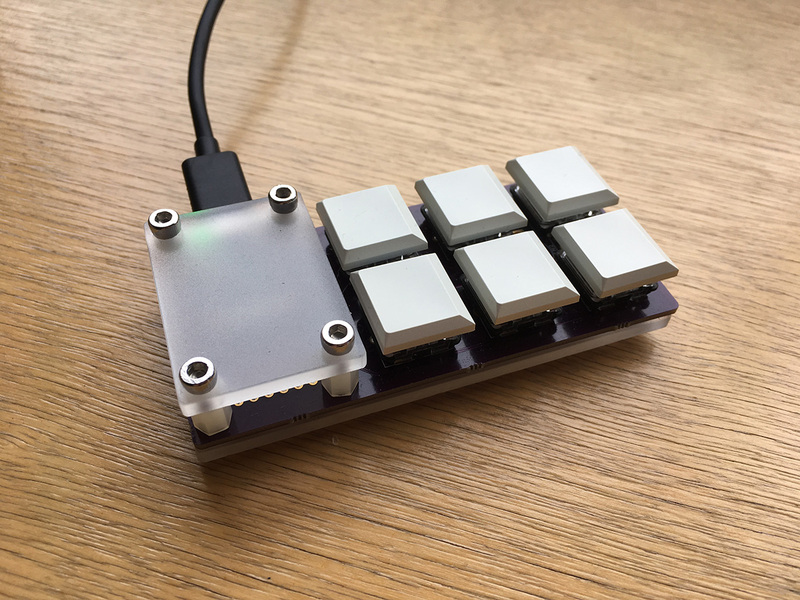 The KernTroller is a customizable keyboard controller with pressure sensitive capacitive touch pads, and is programmable with Python. Back at RoboThon 2015 I presented some of my thoughts and experiments with making custom controllers for type design. 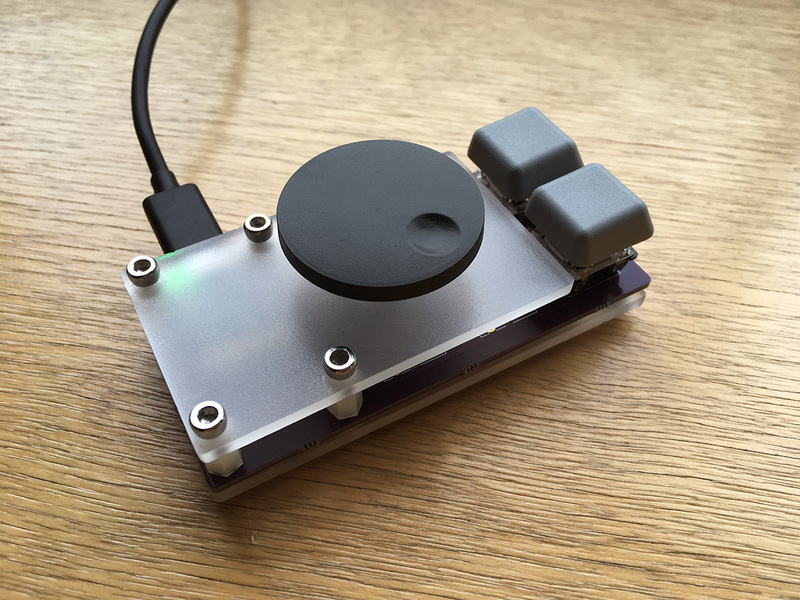 I've noticed that other creative industries have their own cheap commodity input devices (USB fader banks for musicians, 3D “navigator” devices for industrial designers, etc. ), but I wonder what kind of devices a type designer needs. At that time CJ Dunn observed that the industry standard kerning tool, MetricsMachine, looks like it's practically designed to be used with a video game controller since it almost exclusively makes use of the arrow keys along with a few modifier keys. 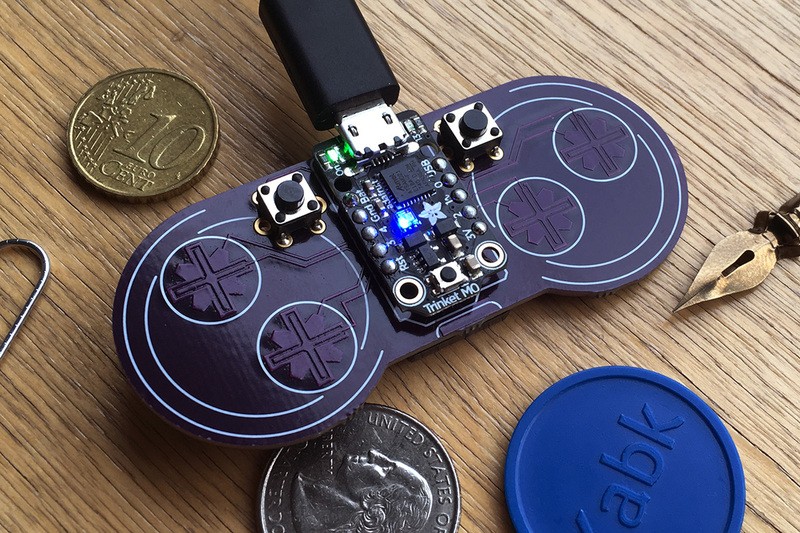 USB video game controllers can be found relatively cheaply, and it turns out to actually be a really nice way to interact with a repetitive task that only needs 6 keys to perform. 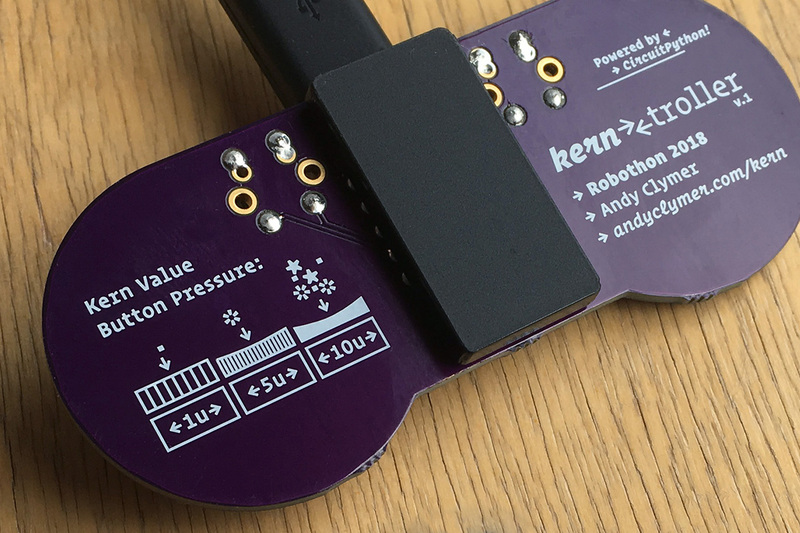 Three years later at RoboFont 2018 I introduced the KernTroller as a hobbyist kit to build and program your own USB controller. Around the same time that I was developing the KernTroller, my annoyance with the small arrow keys on my laptop’s keyboard drove me to make something new, and the result is the MiniKbd. 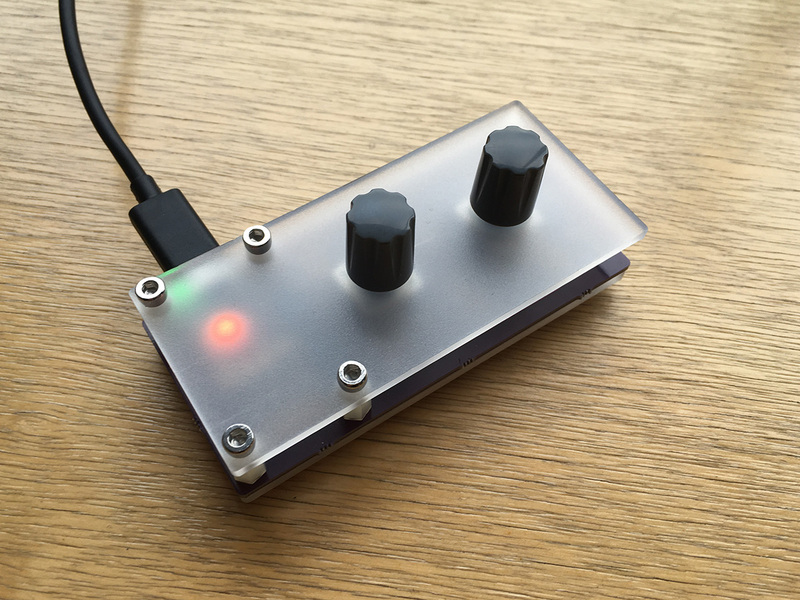 It can be built in one of three configurations with different combinations of keyboard keyswitches and “rotary encoder” style knobs, all programmable with the Python language.